The Satellites range allows you to choose your own shower kit to complement the Sirona control panel. 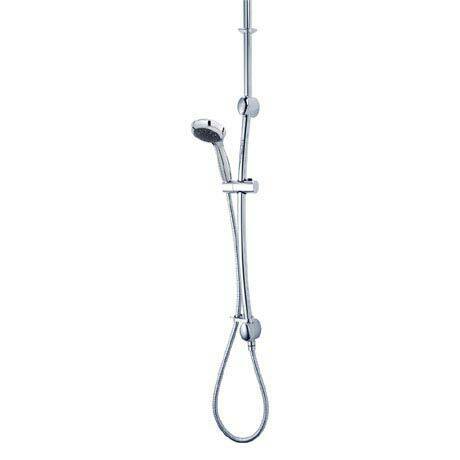 This Carlova Shower Kit allows you to fit it through the ceiling or the wall with the supplied wall outlet. The 1000mm riser pipe can also be cut to size if required, whilst the multifunction shower head has rub clean nozzles so limescale deposits can easily be rubbed off.